Enjoy a night with The Modern Gentlemen, a vocal quartet brought together by the legendary Frankie Valli of The Four Seasons. They bring charm, high energy, and spot on vocals with harmonic perfection when they take the stage. 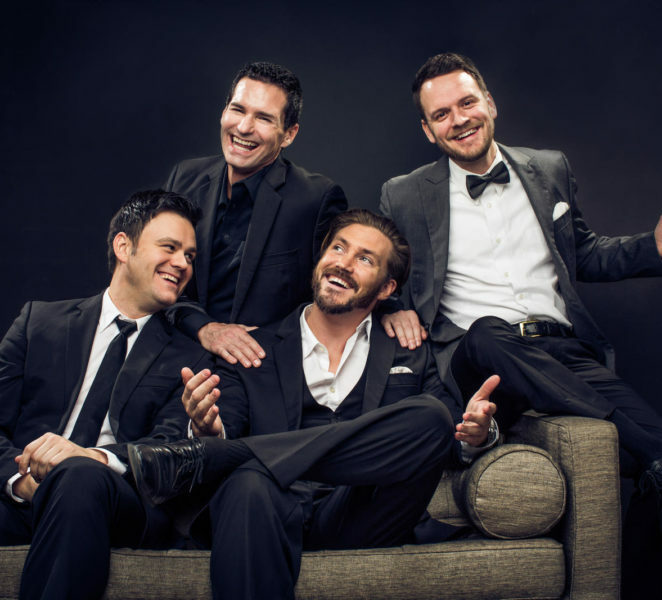 This Los Angeles-based group blends the sound of classic vocal groups of yesterday with modern musical styles, creating the ultimate vocal experience for all ages. They’ve shared the stage with The Beach Boys, Manhattan Transfer and many other notable vocal groups. They’ve appeared on Broadway, at Royal Albert Hall with the London Symphony Orchestra and performed for several U.S. presidents, as well as for Prince William The Duke of Cambridge at the Arts Club in London. They were recently featured in a special concert, “Doo Wop Generations,” which aired on PBS stations across the country. Voices behind Frankie Valli for over a decade! Princess Cruise Lines Entertainers of the year!